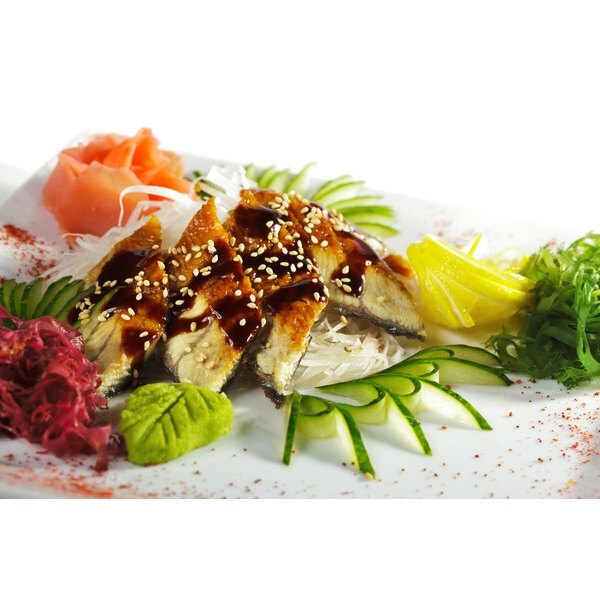 Japanese cuisine features fresh ingredients, light sauces and pleasing arrangements. 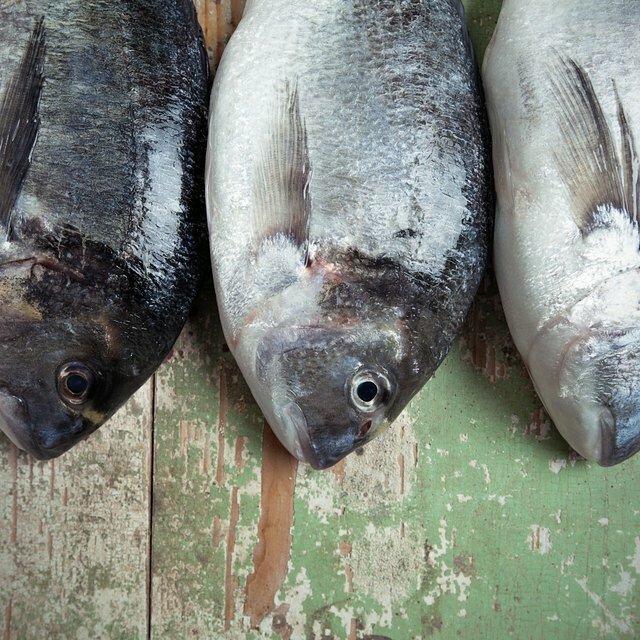 Perhaps because it is an island nation, Japanese use fish as a major source of protein in their diets. Cooked eel, known as unagi, is a special dish, simply prepared. The eel is cooked, then covered with a light, sweet sauce called kabayaki that crisps the skin. Accompany cooked eel, available at Japanese or other Oriental groceries, with an easy homemade Kabayaki sauce, or use the sauce on broiled salmon. Place the Japanese soy sauce, mirin wine and sugar in a saucepan. Stir with a wooden spoon until well combined. Put the pan on the stove, and heat over low heat until the mixture begins to bubble. Simmer the mixture for two to five minutes until it begins to thicken, stirring continuously. Continue simmering for a minute or two more until the sauce is about the consistency of simple syrup. Remove the saucepan from the heat, and let the sauce cool before using or storing it. Brush eel or fish with Kabayaki sauce before putting them under the broiler for their final few minutes of cooking. Pour unused Kabayaki sauce into a glass jar, and refrigerate it for future use. Handle hot sauce carefully -- sugar gets very hot when it cooks. Do not pour sauce into glass jar until it cools completely. An avid perennial gardener and old house owner, Laura Reynolds has had careers in teaching and juvenile justice. A retired municipal judgem Reynolds holds a degree in communications from Northern Illinois University. Her six children and stepchildren served as subjects of editorials during her tenure as a local newspaper editor.